Does your home or business need a new look or a major renovation? We can do it! From painting, faux-finishes, drywall repair and wall coverings to hardwood floor and deck restoration to pressure washing, we do it all. And we work meticulously, with the highest standard of care and protection for your home or business. We are prompt, reliable, thorough and conscientious. If you need interior or exterior work done, Bill Torres Painting & Wallcovering, LLC is the one to call! 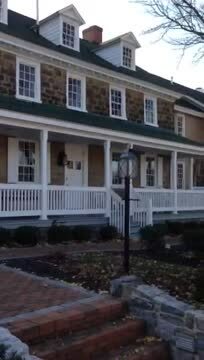 Check out this photo and videos of our work at the Mount Hill Tavern! When we began, the exterior wood trim and deck were peeling and worn-looking. First, we carefully cleaned and removed all of the flaking paint and then smoothed the surface to give a like-new finish. Next, we primed the exposed wood to ensure the new paint would adhere well and be durable. Finally, we expertly painted all of the wood trim and deck to a beautiful, fresh and clean appearance. This restoration process not only gives Mount Hill Tavern a beautiful, like-new look, but also will last for many years to come. © 2019 Bill Torres Painting & Wallcovering, LLC. All Rights Reserved.